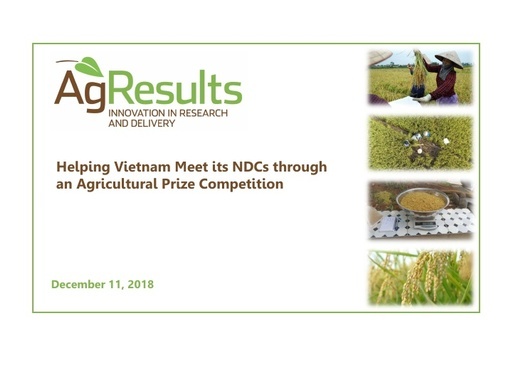 This presentation for COP24 highlights the AgResults Vietnam Greenhouse Gas Emissions Reduction Challenge Project, specifically efforts of private sector participants to scale up improved technologies to help farmers increase rice yields while decreasing GHG emissions. 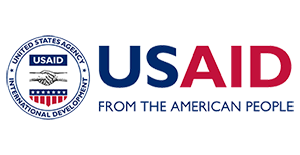 The project aims to reach 20,000 smallholder farmer households across the Thai Binh province in the Red River Delta. 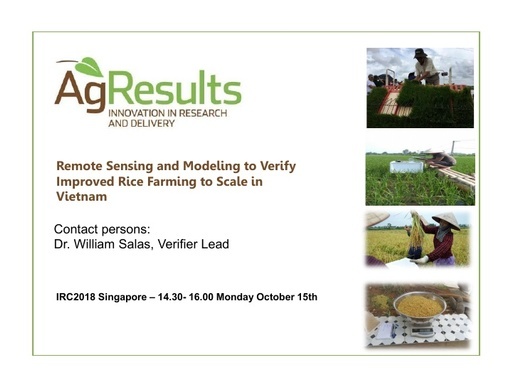 In this presentation for the International Rice Research Institute (IRRI) Congress 2018, Dr. William Salas explores the role that remote sensing and modeling technologies have played to gather critical data on the efficacy of different rice growing practices. In this presentation for the International Rice Research Institute (IRRI) Congress 2018, Dr. Tran Thu Ha illustrates key features of the most effective technology packages developed by competitors in the Vietnam Greenhouse Gas Emissions Reduction Challenge Project. 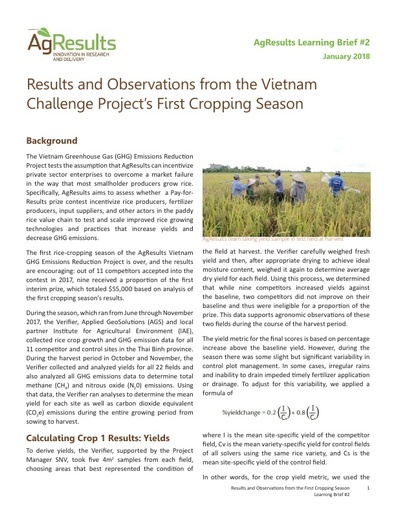 This Lessons Learned Brief provides an overview of the verification process followed to gauge rice crop growth and GHG emission data among farms participating in the Vietnam Greenhouse Gas Emissions Reduction Challenge Project. 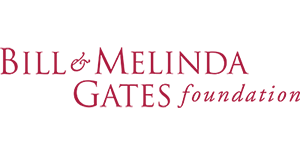 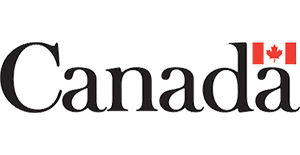 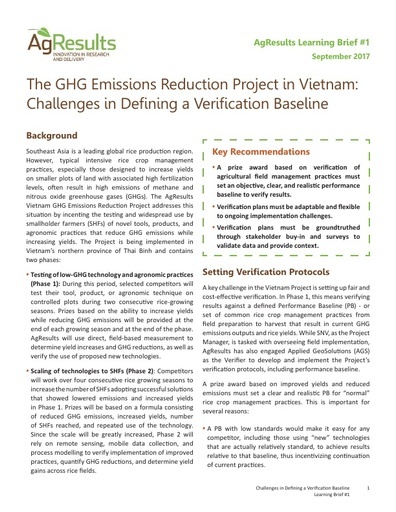 This Learning Brief discusses the challenges in creating a verification baseline for the Vietnam Greenhouse Gas Emissions Reduction Challenge Project, which aims to develop, test, and scale up innovations to reduce GHG emissions while increase rice yields in the Red River Delta. 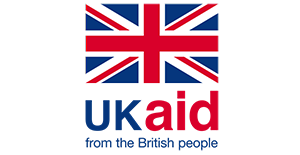 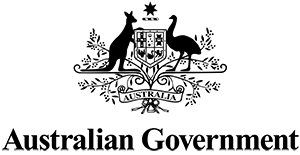 The brief reviews the approach to set this baseline, involving household surveys, analysis, and stakeholder buy-in.